H&J Martin | A Rising Star! 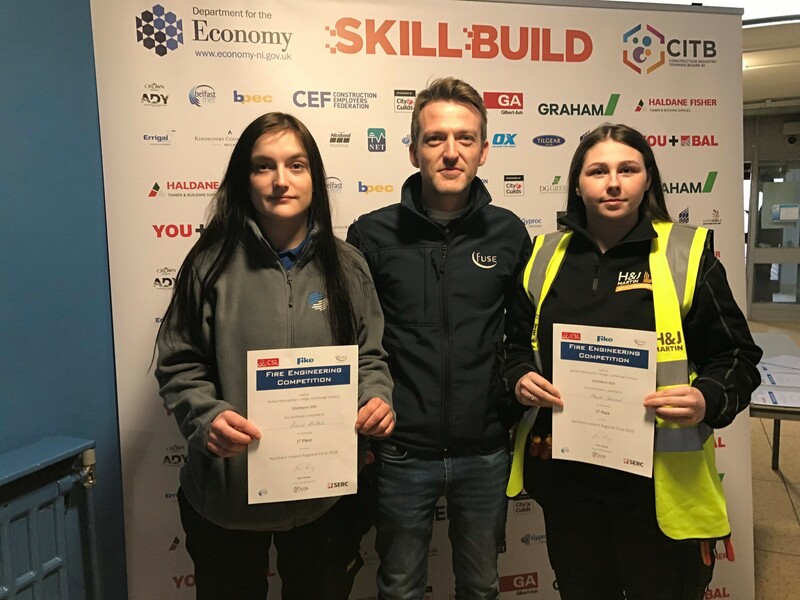 The SkillBuild NI competitions, run and governed by CITB NI were held in Belfast Metropolitan College, Castlereagh Campus on Friday 22 March 2019. Held annually, apprentices from local construction companies compete to win coveted titles in their respective trades ranging from Brickwork to Plumbing. The winners of each section may then go on to represent Northern Ireland in the UK National Finals. This year, a new Fire Engineering Competition was allied to the event. Teams of two competed to install Fire Alarm Systems. 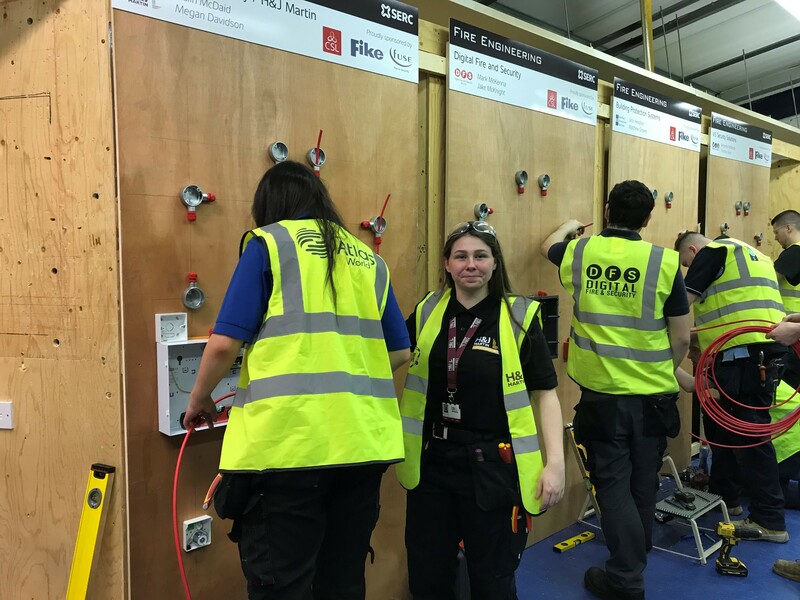 Our very own Megan Davidson, who is an Apprentice from H&J Martin Fire & Security Department joined forces with her college classmate Aislin McDaid of Atlas World to compete as a team. At a prize giving ceremony held in Belfast Met on Friday evening past, we were absolutely thrilled as Sarah Travers announced Megan and Aislin as the Fire Engineering Award Winners for 2019! 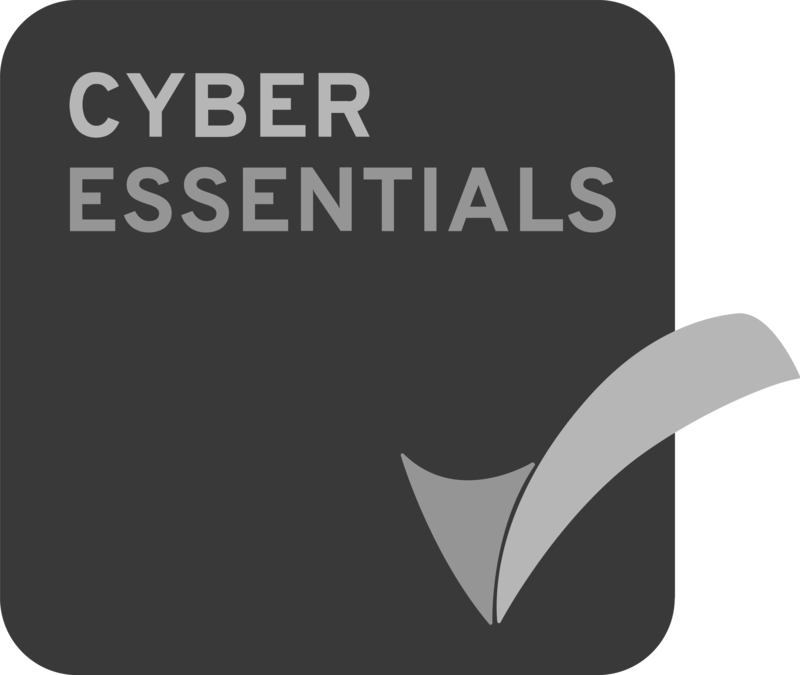 Megan and Aislin will now go forward to represent Northern Ireland at a UK wide showcase event at The IFSEC Exhibition to be held at Excel, London in June. Very Well Done Girls and we wish them an enjoyable and successful time at the IFSEC Exhibition.